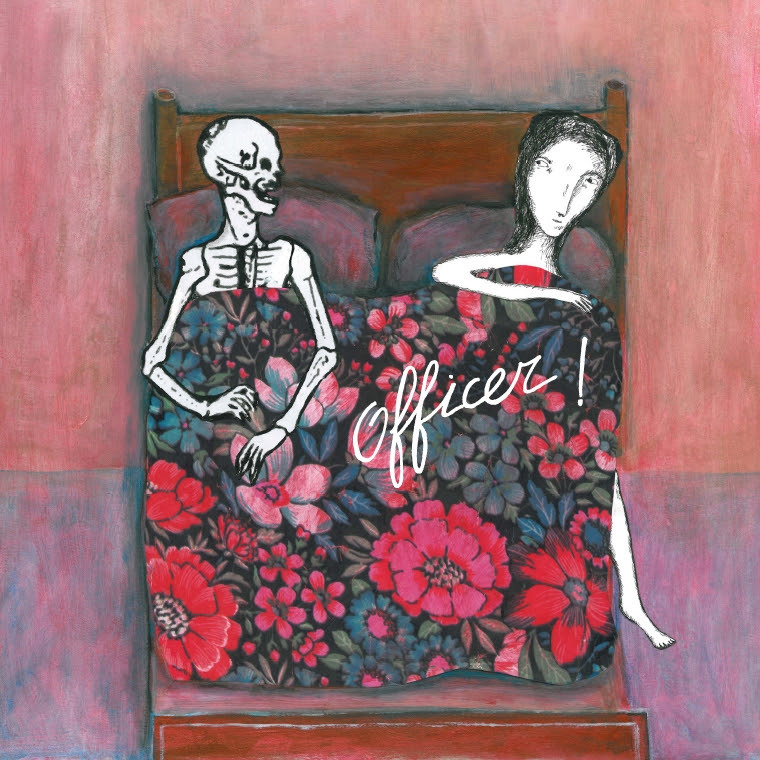 Blackest Ever Black – Officer! “Dead Unique” lost album – Chain D.L.K. Blackest Ever Black presents to you Dead Unique, an album by Officer! recorded in 1995 but – outrageously, inexplicably – never before released into the public domain. This then is not a reissue or a revival; it’s a new record that just happens to have been maturing in the cask for, oh, a little shy of 20 years. It also happens to be a lost classic of English art-rock, and the crowning achievement in the career of its mercurial creator, Mick Hobbs. 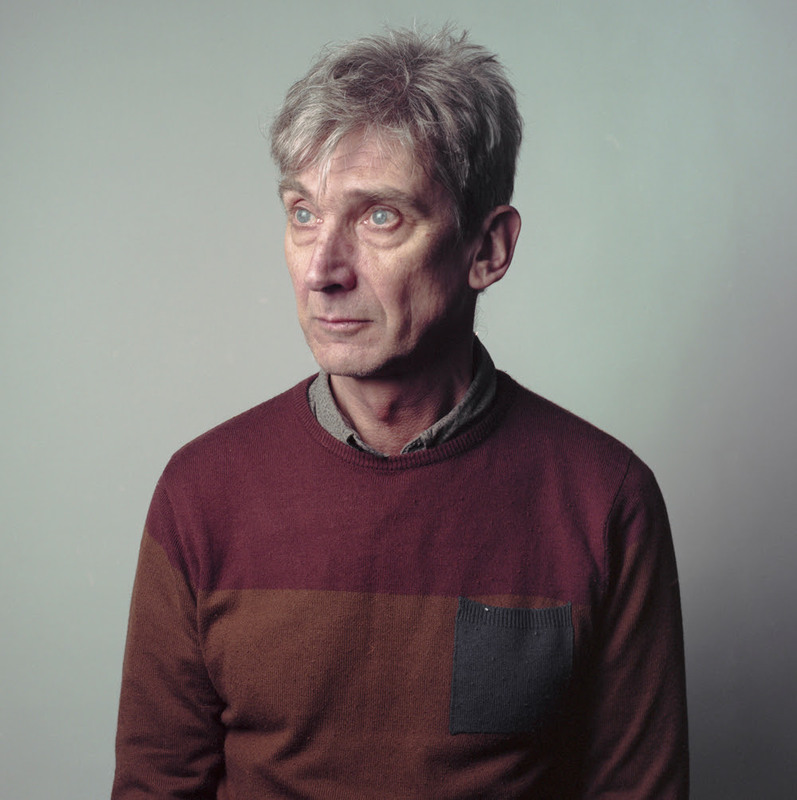 Londoner Hobbs’ roots are in the fecund RIO scene of the late ‘70s and early 1980s, initially as guitarist in The Work (alongside Bill Gilonis, Rick Wilson and Henry Cow’s Tim Hodgkinson), and subsequent related groupings The Lowest Note, The Lo Yo Yo, and The Momes. Over the course of the decade he became closely associated with This Heat and their Cold Storage studio in Brixton, working with the likes of Flaming Tunes, Family Fodder, Catherine Jauniaux and Zeena Parkins, to name but a few. By the start of the 1990s Hobbs had joined Jad Fair’s Half Japanese (he continues to play in that group as well as Strobe Talbot, a trio with Fair and Benb Gallaher). In the early months of ’95, Half Japanese were in Baltimore to record their Hot LP; Hobbs stayed on to cut the bulk of the songs that comprise Officer!’s Dead Unique – songs drawn from a rich store of material written and refined in the seven years since the band’s last outing – with a talented assemblage of local and visiting musicians. Returning to the UK, Hobbs brought the tracks to producer Julia Brightly to mix at her 16-track home studio in Bethnal Green; by the end of the summer, Dead Unique had taken shape. And then? Nothing. For reasons that no one, least of all Hobbs, can remember, Dead Unique was shelved, all but forgotten about until 2012, when Blackest Ever Black chanced upon it while trawling the Officer! archive maintained for Hobbs by Andrew Jacques. Finally, rightfully, on May 26th, 2014, the album will be made available to all for the very first time – on double-vinyl, CD and digital formats. A complex but thrillingly immediate avant-pop song cycle that charms and confounds at every turn, Dead Unique will give immense pleasure not only to Officer!’s existing cult following, but to anyone with an appreciation of piquant, idiosyncratic songcraft – fans of Kevin Ayers, Flaming Tunes, Art Bears, Woo, Dislocation Dance, R. Stevie Moore, Robert Wyatt, Cleaners From Venus, Lol Coxhill or The Monochrome Set should especially pay attention. It touches upon ragged-raw rock ‘n roll, sumptuous chamber music, pastoral folk, blowsy prog-jazz and paranoid dub-space, effortlessly shifting from skronking abstraction to rousing harmonic refrain and back again. Dead Unique is also the culmination of Hobbs’ lifelong collaborative impulse: his visionary ability to bring musicians together, galvanise them and wrestle coherence out of the collective free play of ideas, arriving at something far more than the sum of its parts. The tension between composition and improvisation is key to the LP’s power, with Hobbs abetted by an extraordinary supporting cast that includes Tim Hodgkinson (bass clarinet), Pleasant Livers’ Fred Collins (vocals), Legendary Pink Dots’ Patrick Q (violin), filmmaker/animator Martha Colburn (vocal), Gilles Rieder (drums), Jad Fair (vocals) and Jason Willett (bass, keyboards, trumpet). Special mention must go to John Dierker, whose superbly expressive clarinet and saxophone parts are a fixture throughout, and to Joey Stack, who takes lead vocals on ‘Good’ and the show-stopping ‘Elephant Flowers’.